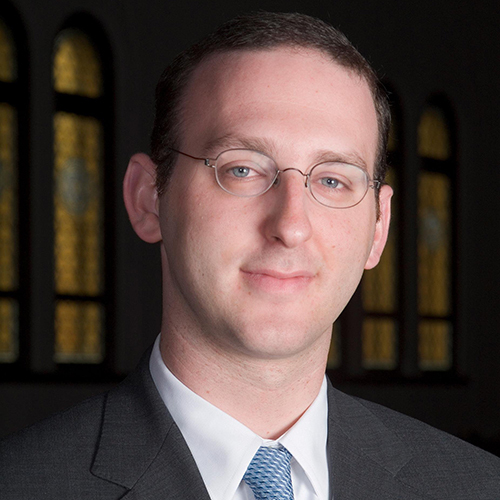 Rabbi Adam Scheier is Senior Rabbi of Congregation Shaar Hashomayim. He is Past President of the Montreal Board of Rabbis, Vice-President of the Rabbinical Council of Canada, and Senior Rabbinic Fellow of Jerusalem’s Hartman Institute. Rabbi Scheier is a founding member of the Board of Trustees of the International Rabbinic Fellowship, a leading Modern Orthodox organization consisting of over 200 rabbis, communal scholars, and clergy. He also serves on the Rabbinic Advisory Board of Yeshivat Maharat, the first institution to train Orthodox women as spiritual leaders. Rabbi Scheier is proud to be the rabbi of the first synagogue to hire a graduate of Yeshivat Maharat. Prior to his post in Montreal, Rabbi Scheier participated in the founding and development of the first Yeshiva in post-World War II Germany, and has continued to work extensively with the immigrant Jewish community in Germany. Rabbi Scheier has been an advocate for “spiritual activism” on behalf of Jews around the world. He had led solidarity visits to many different communities, including Paris following the 2015 attack on Hyper Cacher; Montana following anti-Semitic threats against the local Jewish community; and Venezuela following hate crimes against the Jewish community. In 2010, Rabbi Scheier testified before a Canadian Parliamentary committee on the topic of human rights in Venezuela. In 2015, Rabbi Scheier co-edited and published the Canadian Haggadah Canadienne, which received positive acclaim in Canada and worldwide. In July, 2016, Rabbi Scheier was honoured to accompany Prime Minister Justin Trudeau on his visit to Poland and Auschwitz. Rabbi Scheier has published editorial pieces in the Montreal Gazette, the Times of Israel, and CIJA’s The Exchange, and is a frequent contributor to the Canadian Jewish News. Rabbi Scheier is married to Rabba Abby Scheier, and they have been blessed with five daughters, Aviya, Ayelet, Annael, Allegra, and Arella.